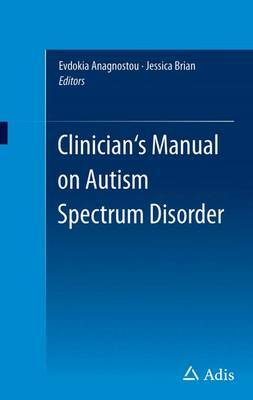 This concise, yet practical handbook will aid in supporting the diagnosis, treatment, and long-term management of autism, including behavioral therapies, current clinical trials, and emerging pharmaceutical treatments. Autism spectrum disorder (ASD) is a developmental disorder characterised by disturbance in language, perception, and social skills that affects an estimated 1-2 per 1,000 people worldwide (although the number is as high as 20 per 1000 in the US). While studies have suggested a disturbance in neural metabolism in patients with ADS, the exact cause of the ASD still remains unknown. In 2013, a single indication of ASD, which united several related conditions (ie, classical autism, Asperger's syndrome, Fragile X Syndrome, Landau-Kleffner Syndrome, Rett syndrome, childhood disintegrative disorder, and PDD-NOS), was included in the fifth edition of the Diagnostic and Statistical Manual of Mood Disorders for the first time in order to support more standardized diagnoses.